Leading provider for full and partial restoration, recommissioning, and repairs for: Mercedes-Benz, Auburn, Chevrolet, Jaguar, Ford, BMW, Dodge, Maserati, Corvette, Ferrari, Cabriolet, Roadster, Chevy and so many more! 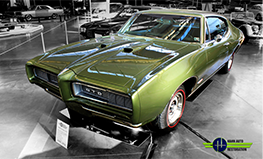 Hahn Auto Restoration performs full restorations on a variety of collector vehicles that are known for their rarity. From “one of a kind” projects like the 1938 HRG coupe to rare Mercedes-Benz 300SL Gullwings and Roadsters to custom creations such as the 1946 Chevy panel truck, Hahn Auto Restoration has extensive experience with high-level restorations. One of our most unique specializations is in the full restoration of European Marques, which include Pre/Post War English (Jaguar, Triumph, HRG, MG), Italian (Ferrari, Maserati, Alfa Romeo), and German (Mercedes-Benz, BWM). 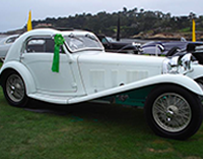 We have completed several concours award-winning restorations over the years and we take great pride in restoring these vehicles back to their original beauty. All our concours restorations are accurate to their era, featuring period-correct materials and headmark-correct hardware to ensure the history of the car shines through. Our highly skilled specialists will complete your restoration based on your unique needs and specifications. Your hand-built car will perform better, look better and last longer than when it left the factory. Restorations are the core of our business. As your trusted full restoration expert in the automotive industry, we strive to provide you with quality restoration services you can depend on. When we do a restoration, we focus on the longevity of the restored car. We believe a full restoration should last through your lifetime and beyond. At Hahn Auto Restoration, we take the time and care to ensure our restorations are built to last so they can be passed on and enjoyed for generations to come! 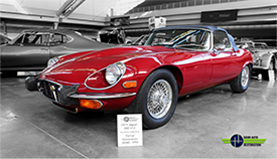 Contact us today to learn more about our concours level, full restoration services for your collector car! I cannot believe the marvelous gift. The clarity and views have not only a craftsmanship quality but those of a creative artist. I cannot thank you enough. Nancy and I can not express our appreciation- except to say thank you. You have really done miracles with the body. I had no idea that it had taken the beating it had over the years and in all that racing. Many thanks and my best to the guys. Thanks gents- Loved seeing the car and your great work. Thanks to all the staff for attentive service. Thank you again for bringing the family heirlooms back to life. I am very please and excited to see the progress that has been made over the past few weeks, and also the care and quality that you are putting into the work. Again, many thanks for your help and kindness. Great attention to detail in their restorations! Bill and all the guys at the shop are amazing people, and amazing craftsman!! Stay up to date on all Hahn Auto Restoration news, events, project car stories, and more! Copyright © 2019 Hahn Auto Restoration. All Rights Reserved. Website Design by Higher Images.